Buy Cheap Warhammer Now, Get 10% Discount Off RRP and Free UK shipping over £75! The palette pad features 20 sheets of plastic paper pages, bound together on one edge. Once you have finished using a palette simply tear it out of the pad and pop it in the bin. Fast and simple. 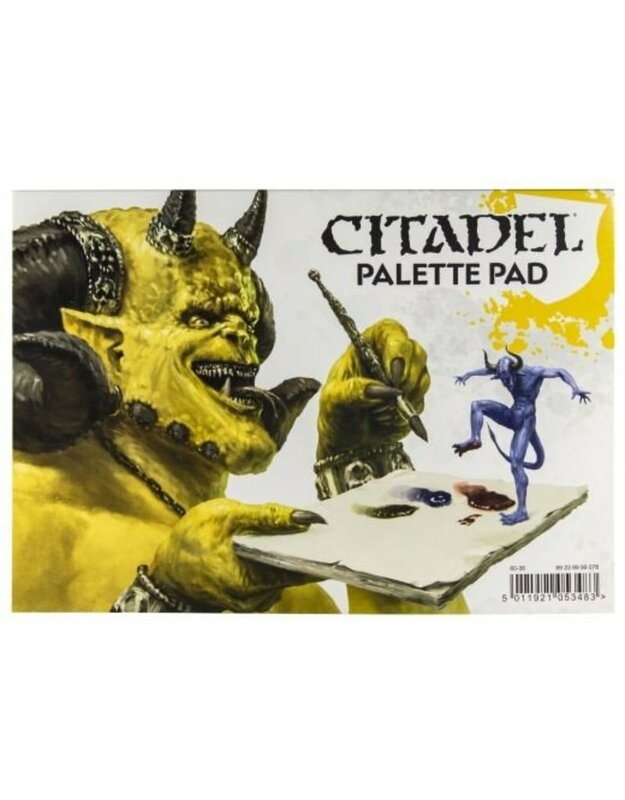 The Citadel Palette Pad contains 20 disposable painting palettes.